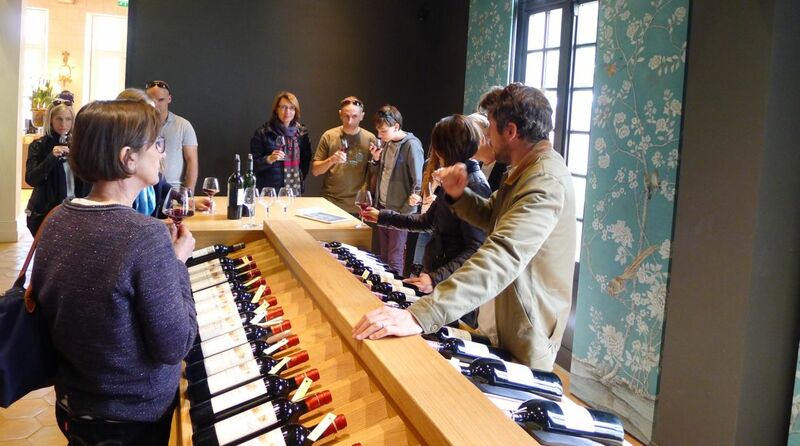 We signed up with BordoVino for a half day wine tasting tour in Saint Emilion. 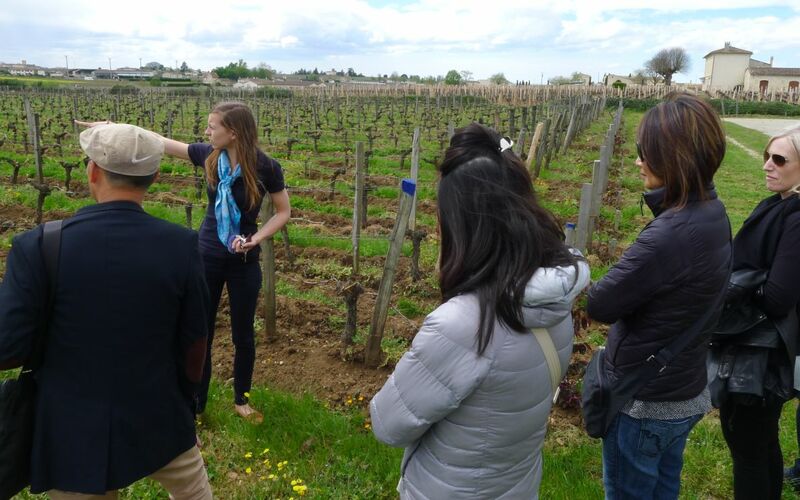 We met up with tour guide Remy at the Tourist office, close to our apartment, and we departed in a mini van direction Saint Emilion. 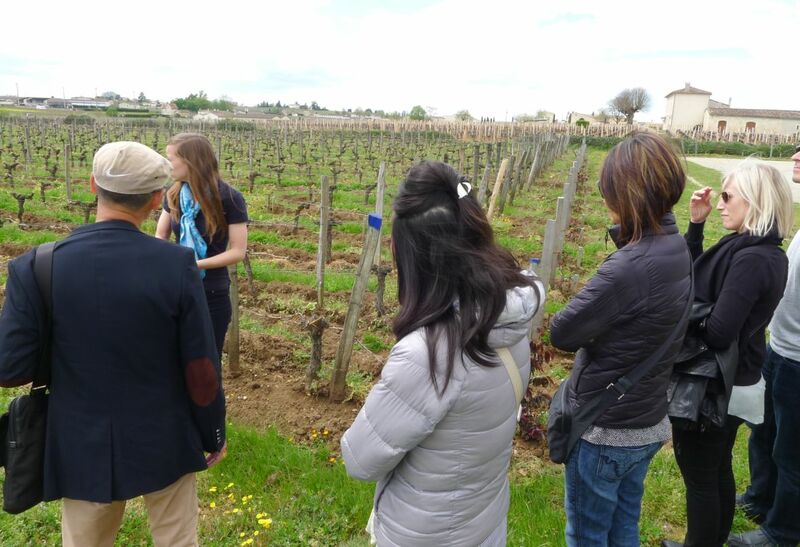 Our Remi and Bertrand will drive us around Saint Emilion to visit 2 Chateaux with a stop over Saint Emilion village in between the 2 chateaux. 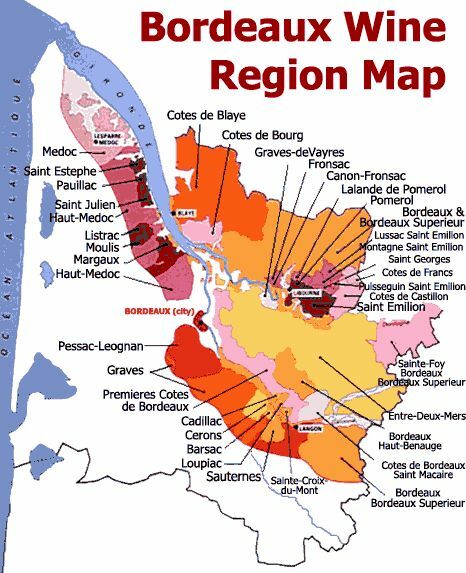 Here is map of the Wine Region in Bordeaux. 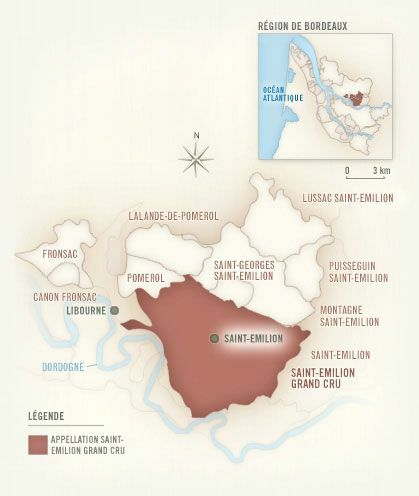 Today we are just going to visit Saint Emilion (rd). 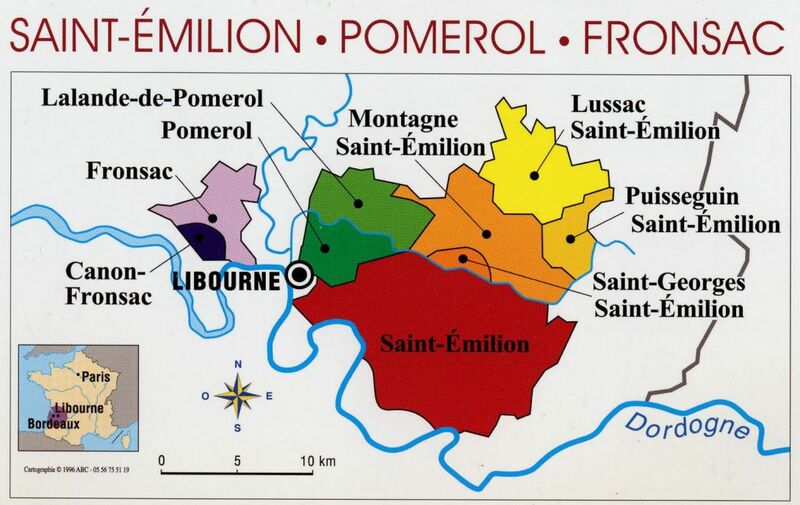 We also drove by Pomerol (green on top) and had a quick glimpse at Chateau Petrus's vineyard which is really small. 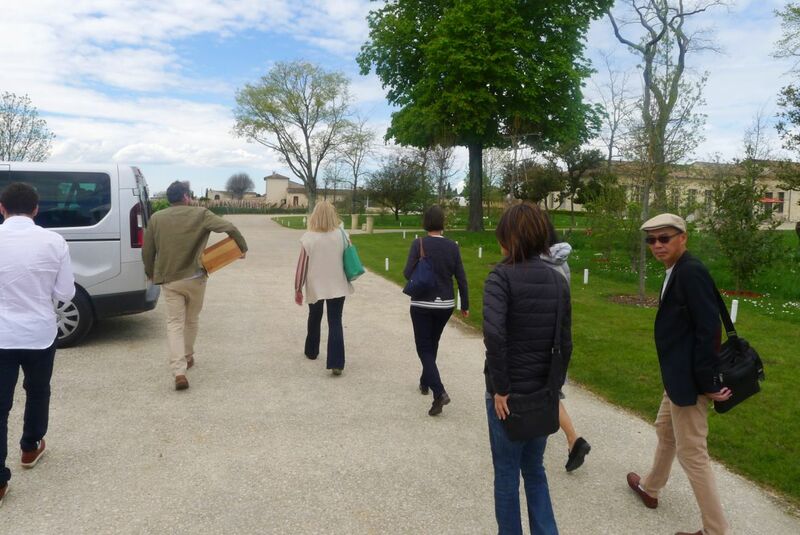 First stop is Chateau Soutard located close to the village of St. Emilion on the right bank. 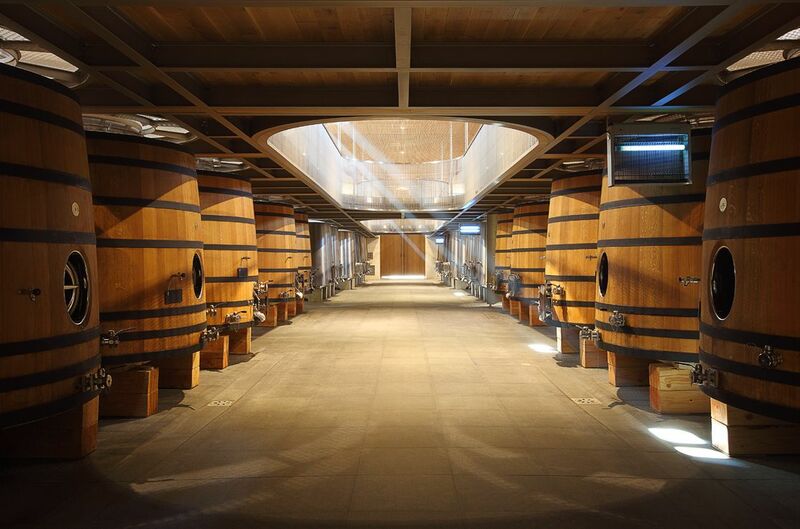 Chateau Soutard St. Emilion , Bordeaux wine producer profile, with wine tasting notes , wine ratings , a history of the property, information on wine making and terroir, along with wine tasting reviews . 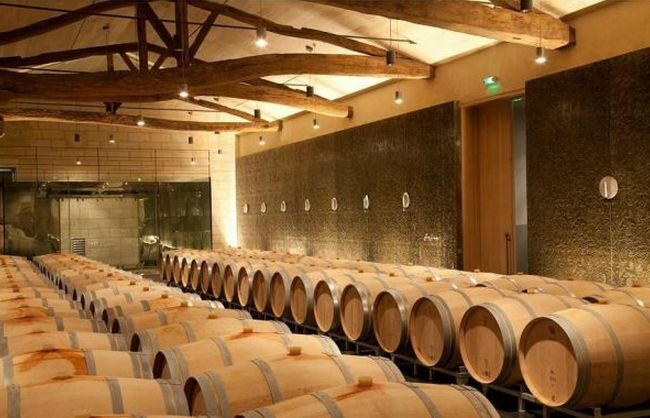 If you want to read about other important, Bordeaux Chateaux: Links to all Bordeaux Wine Producer Profiles. 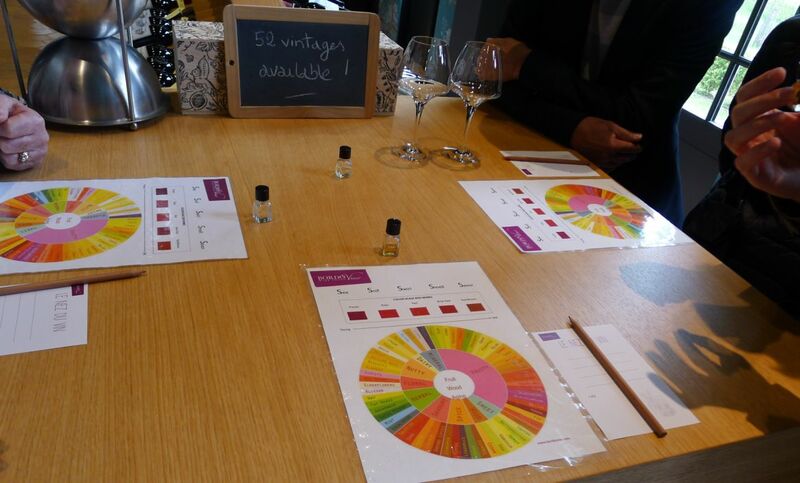 Chateau Soutard dates all the way back to 1513. In those days, the estate was used as a farm and mill. 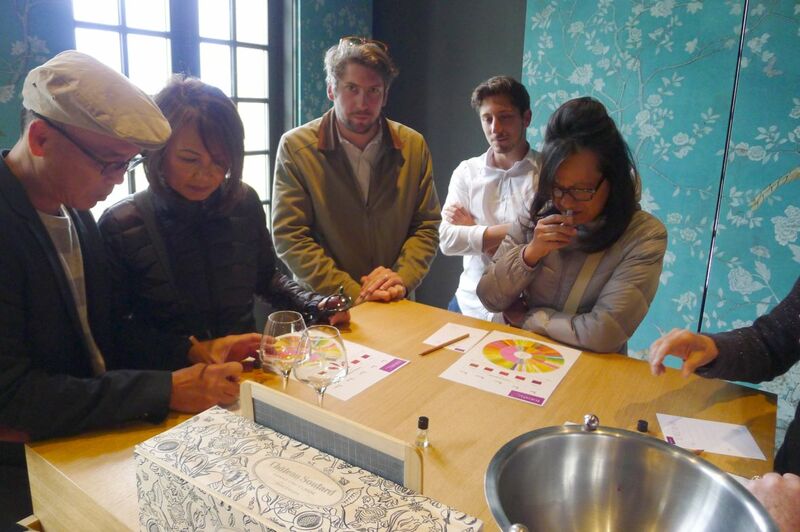 This was well before Soutard became known as a Bordeaux wine producer. 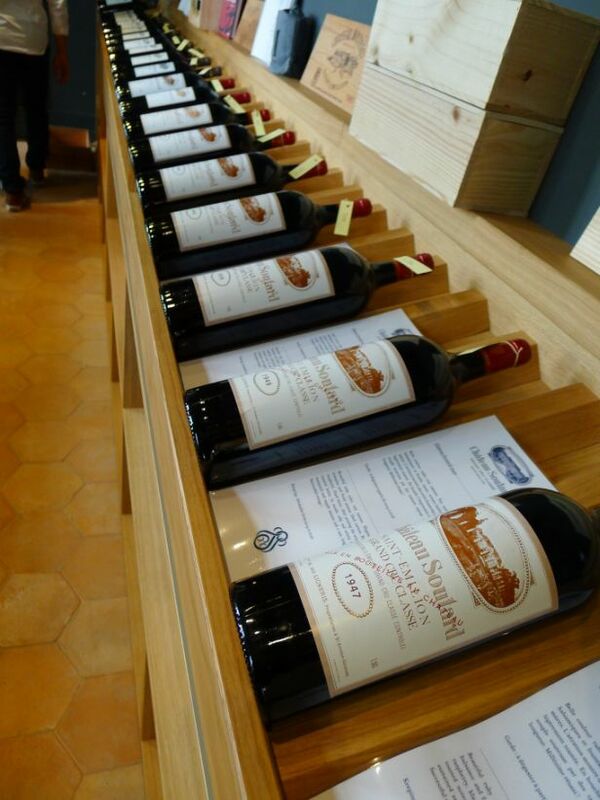 Soutard began earning fame as a St.Emilion vineyard in the middle of the 18th century. 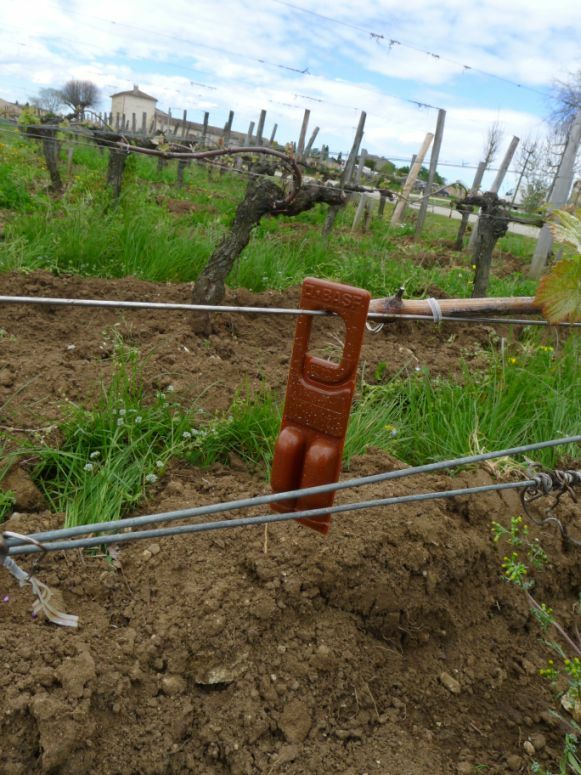 It was during those early days that Soutard first began practicing the novel approach of planting vineyards in rows. While it’s natural for us today, 300 years ago, it was less common in the Right Bank . 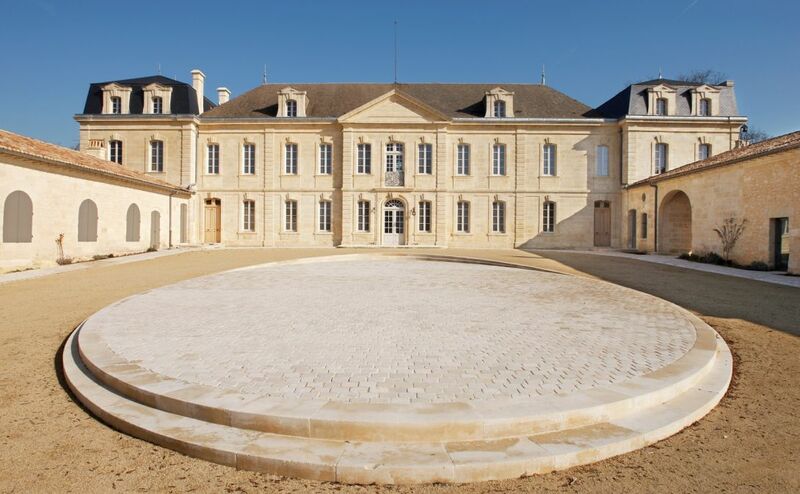 Chateau Soutard is a 57 acres estate that is classified as "Grand Cru" located near Saint Emilion and has been in operation since the 17th century. 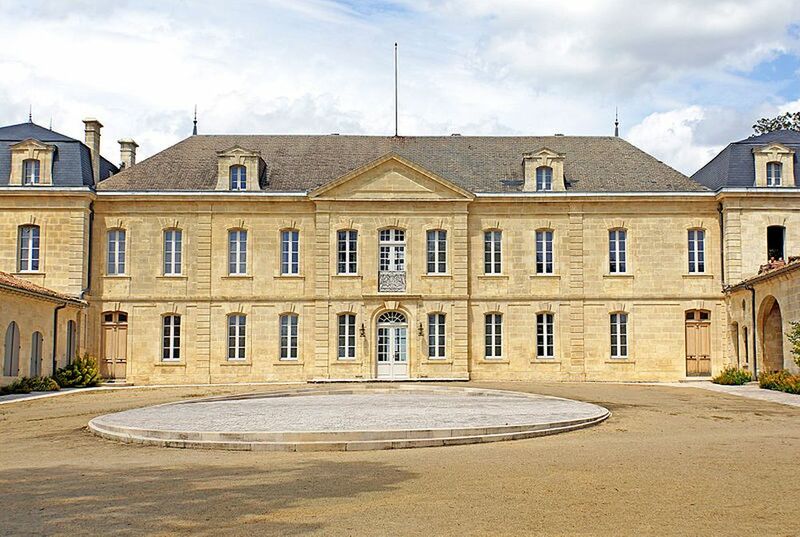 Well before Chateau Soutard became known as a Bordeaux producer, the estate was used as a farm and mill, and began earning fame as a St. Emilion vineyard in the middle of the 18th century. The facade of the building is from the 18th century whereas the sandstone wings, a typical feature of Bordeaux architecture, dates back to the 16th century. This the whole group (missing Hoa in this picture). 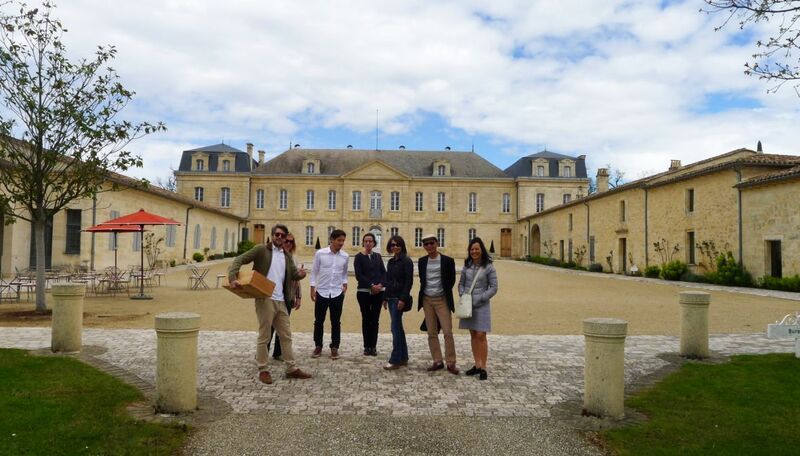 The Chateau started wine tourist activities in 2011 and in 2014 they received the National award of wine-tourism in the "judge favorite" category. 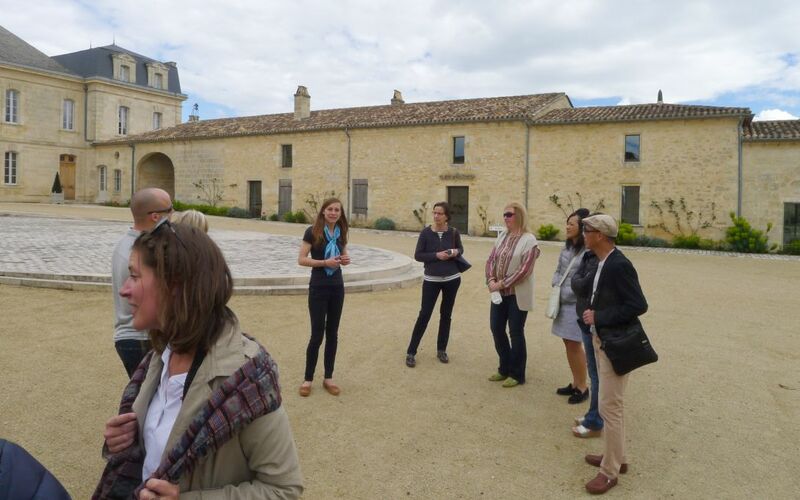 When we got to Chateau Soutard we were joined by another large group of visitors also taking the same tour. 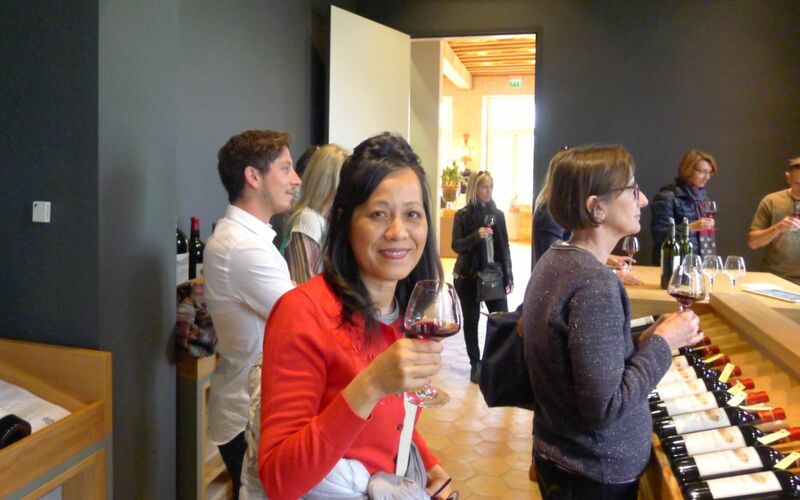 Our hostess (I forgot her name) was very knowledgeable and explained really well how the chateau is run. It is currently managed by Claire Thomas Chenard with the help of their consultant Michel Rolland. I was told she brought a bit of feminine touch to the chateau. 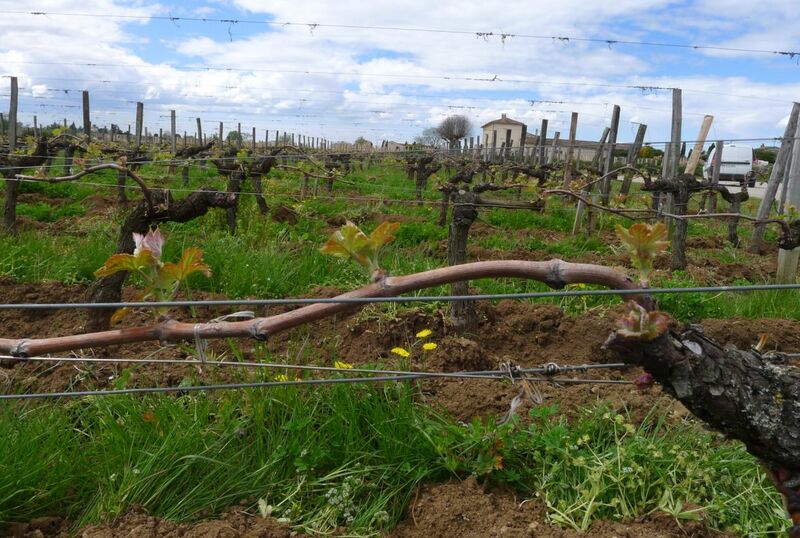 The St. Emilion vineyard of Chateau Soutard has a terroir of limestone, clay and sandy soils. The vineyard is planted to 63% Merlot, 28% Cabernet Franc, 7% Cabernet Sauvignon and 2% Malbec. The main grape is Merlot. 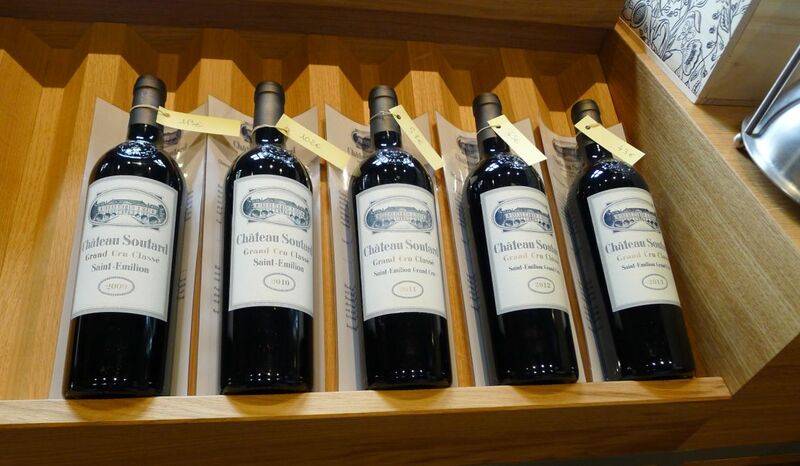 Chateau Soutard wines have a clear, crisp flavor and age extremely well. The vines are on average 35 years of age. The vineyard is planted to a vine density of 6,500 vines per hectare. 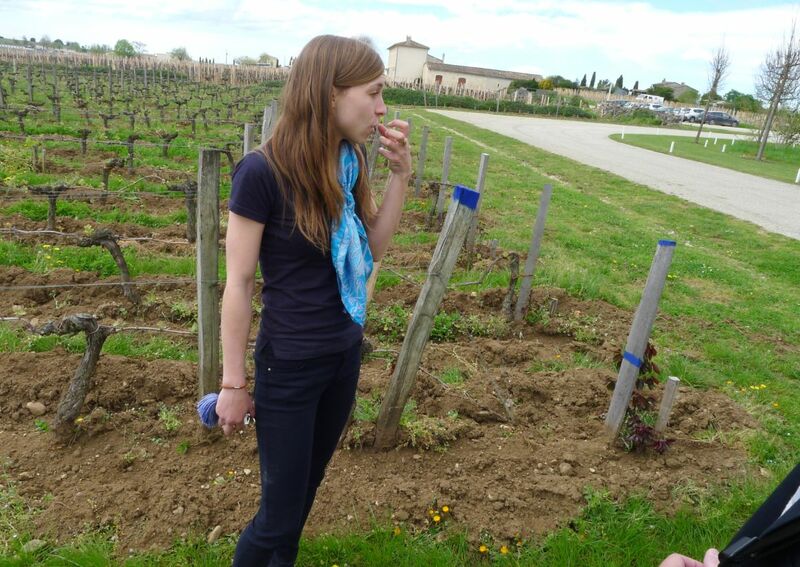 I also learned that in France it is forbidden for a wine grower to water their crop. They totally depend of the weather which was a shock to all us when we found that out. 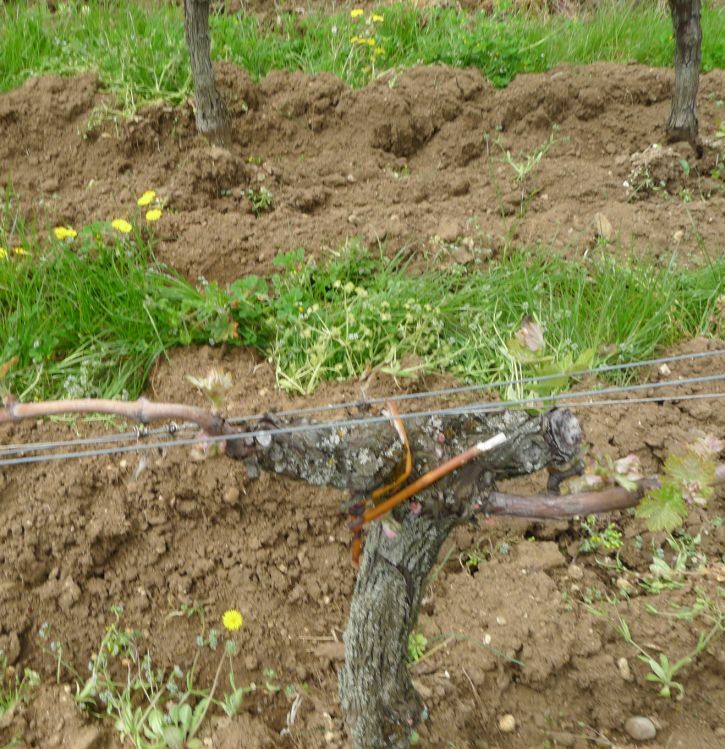 In the mid 18th century Soutard was one of the first to implement a new approach of planting vineyards in a row. While it's natural for us today, 300 years ago, it was less common and unheard of in the Right Bank. Each vine tree is pruned by hand. 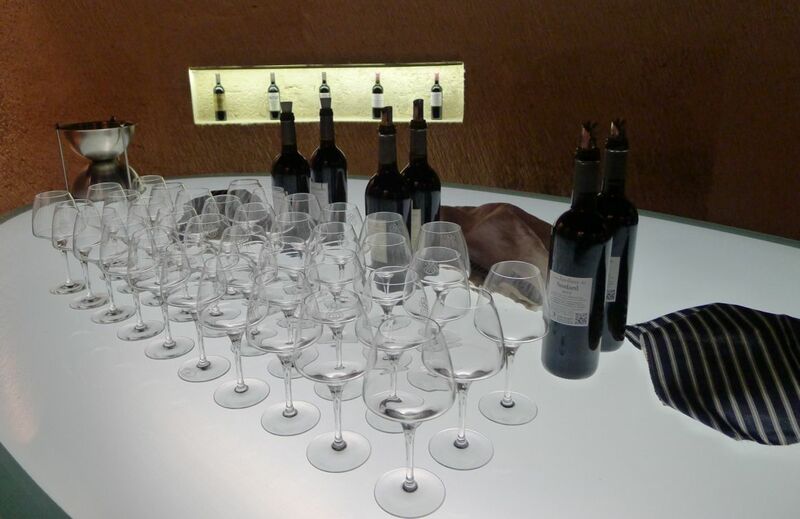 Each branch might produce as much as 10 bunches of grapes but only 4 bunches will be kept so that the growth is concentrated on producing the best grapes. Choose the main stem : it is the strongest stem that comes out of the ground. Then cut all the other stems coming out of the ground. On the main stem, you will have to choose 4 branches. Choose the two strongest branches from both the left and right sides. If supporting your vines with two parallel wires (like shown in the image below) choose your branches so that each of them will easily hang on the wire. Using flagging tape is a great help in identifying the branches to keep. It will also help you to avoid cutting the good branches. Cut all the branches, except for the 4 chosen, to 1cm from the main stem. 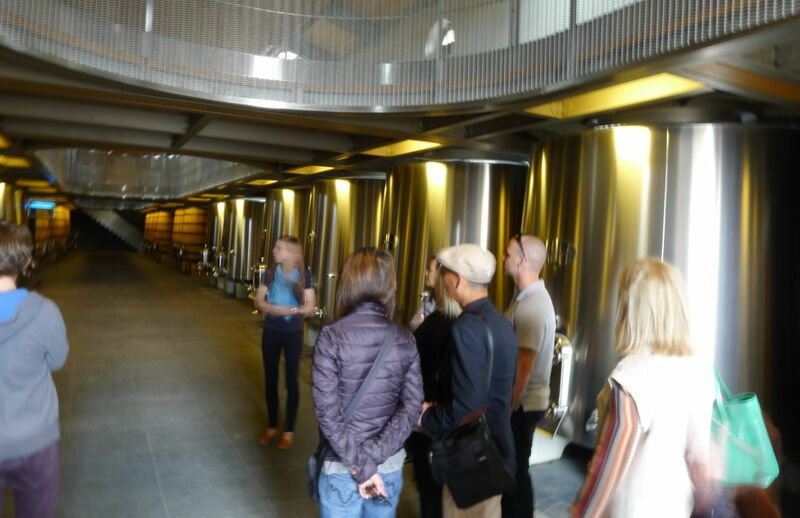 The grapes are turned into wine in gleaming new stainless steel vats of various sizes. 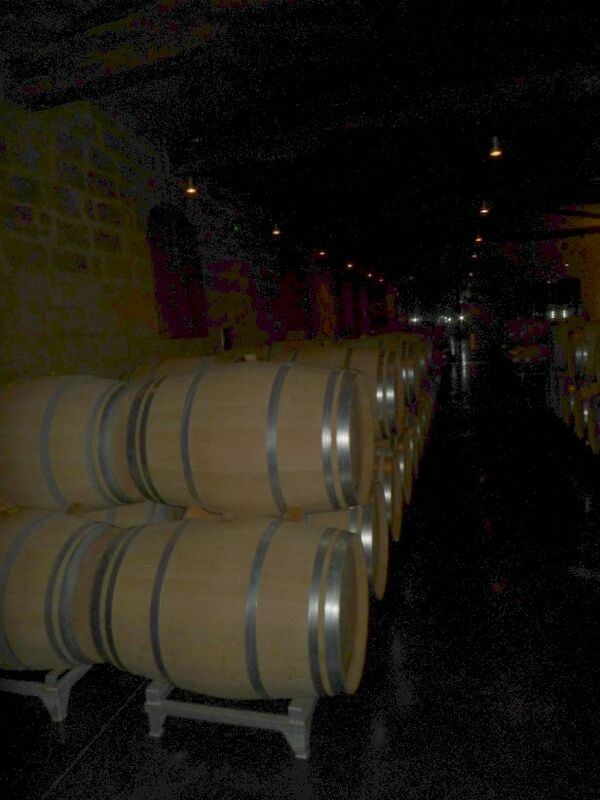 The wine ages in a average o 60% new, French oak barrels for 18 months. 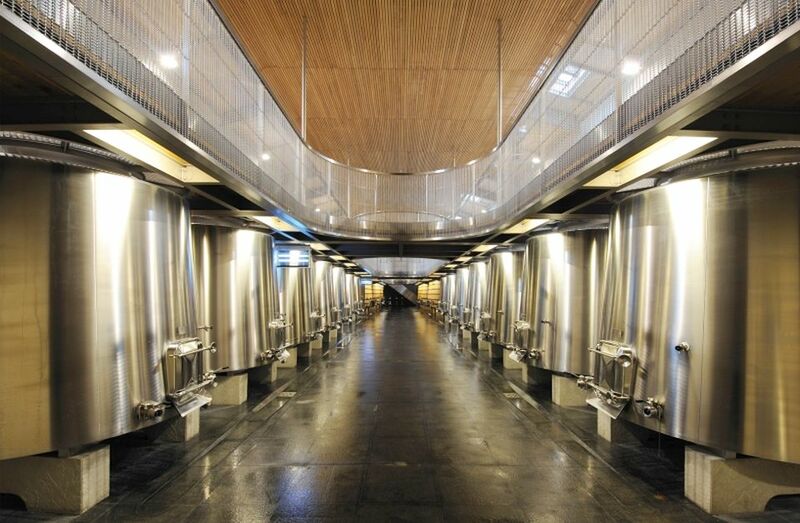 Stainless Steel vats and at the end are Oak barrels. This is the view from the end of the room looking at the entrance. Huge oak barrels and stainless steels vats. 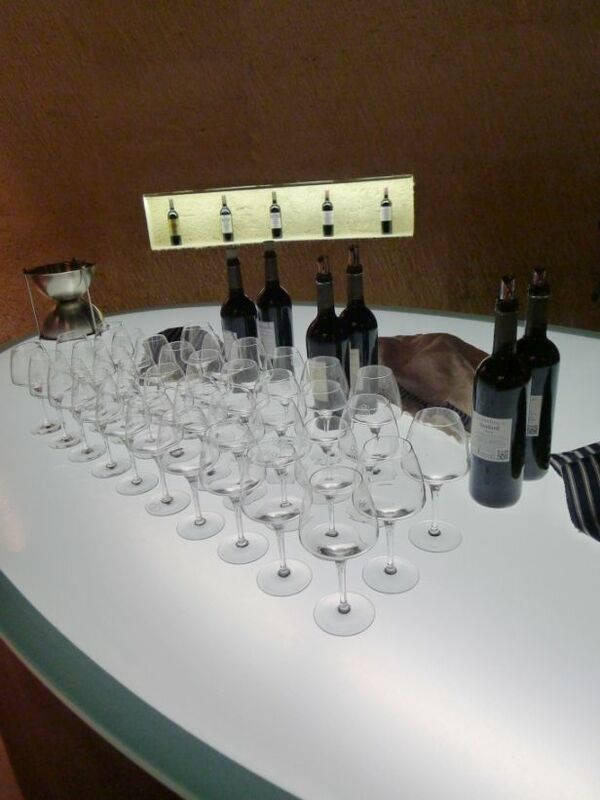 The wine is aged in oak barrels for about 18 months. Chateau Soutard wine display for sale. 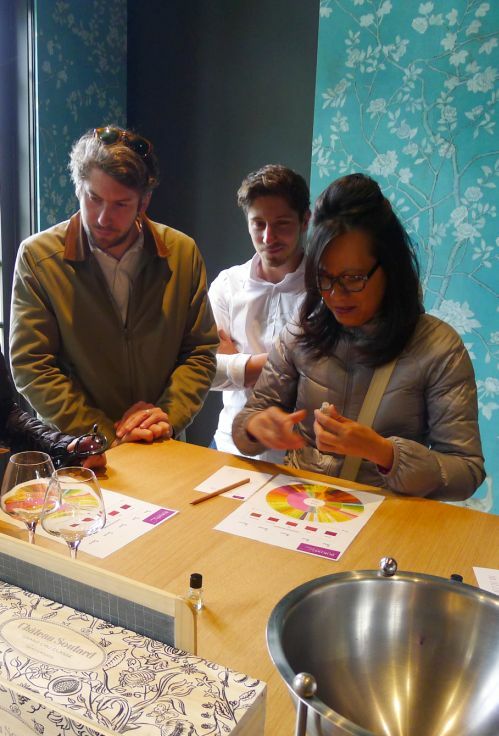 Basically we were given a few individually essence bottled that was carefully prepared and we had to figure out the suggested dilution corresponds to their concentration in wine. Once you selected the category there is a list of ingredients you have to select. For example: vanilla, almond, strawberry, berry, etc.. I was the only one that could figure out the smell of vanilla!